She also claimed: “They were taunting five black men before they surrounded Phillips and led racist chants.” All three of these claims are false. Phillips approached the boys, not vice-versa, and before he did so, members of the Black Hebrew Israelites religious sect were verbally harassing the boys and were, in fact, the individuals shouting racial slurs. 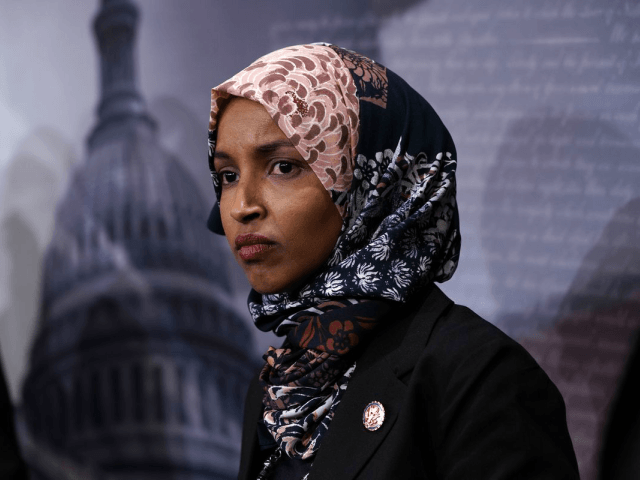 This marks the second time in the span of a single week that Omar has spread false and defamatory claims. On January 16, she suggested without evidence that Sen. Lindsey Graham (R-SC) is “compromised” or blackmailed into supporting President Trump — a far-left conspiracy theory full of homophobic overtones. CNN brought Omar on air to gently admonish her — thus spreading the attack on Graham without labeling it a falsehood. The viral video behind this current controversy gained traction over the weekend showed a group of young boys from Covington Catholic High School in Kentucky standing in front of Phillips. One of the students, Nick Sandmann, stood in front of Phillips while he beat his drum and approached the students singing a school chant. Many media outlets and media personalities rushed to condemn the boys, claiming they were the ones taunting and harassing Phillips. Further video evidence revealed that Phillips approached the boys with his drum while the boys had been singing a school chant on the steps, and a separate group of protesters had been taunting and insulting the boys before and after their encounter with Phillips. President Trump defended the students in a Sunday tweet, stating that they were treated “unfairly” by the media who quickly judged the students without looking at the additional video evidence. Many pundits deleted their tweets condemning the students after seeing the video. But not everyone has deleted their tweets in light of the facts laid out in the video. Some far-left activists, like comedian Kathy Griffin, called for doxxing and publicly humiliating the students in a Sunday tweet. As of Wednesday, she has not deleted or rescinded her statement.